If you’re looking to compare car loans (or any type of loan, for that matter), you may encounter what is known as a loan broker. A loan broker is a company or person that shops around to find a good lender for you and your needs. They work their hardest to compare rates between multiple companies and locate several options that might work for you, based on your responses to a few simple questions. LendingArch, Canada’s one-stop-shop for online loan comparison, is considered a top-tier loan broker that uses this business model. Whether online or in person, online loan brokers can help you find personal loans, business loans or car loans, although many brokers are moving online to provide more convenience for you, the borrower. If you’ve done a quick search on the internet, you’ve likely come across many different online loan brokers. While many of them promise real results, quick outcomes and an easy process, this is not always the case. Often, the focus is put on those with bad credit, making borrowers feel they are stuck with only using a particular broker or lender in order to secure their loans. These companies may say, “You will not qualify for a loan elsewhere,” making the customer feel stuck and uncomfortable. At LendingArch, our mission is to help people in all financial situations to get the loan they need. We never want to make a customer feel abandoned or stuck. Our expert team understands that people need car loans to get the vehicle that helps them with their everyday needs. Regardless of a customer’s past credit history and current credit score, we aim to empower them with financial choices and set them up for success in the future. The other guys often promise quick results but, when you submit an inquiry to discuss your loan options, you might not hear back for days or even a week. This is not how we work. LendingArch will contact you via phone or email within 24-48 hours of your inquiry and put you in touch with a dealership on the very same day. We know that this is important when you’re in a bind. While we’d love to promise instant funding, we know this isn’t always the case, but we will do everything in our power to move your application along as quickly as possible. LendingArch is focused on helping those in need, at the moment they need it, without harping on bad credit. We care about everyone, regardless of their financial situation, and aim to help in securing a loan that works for each and every customer. This is what makes LendingArch the real deal of online loan brokers. 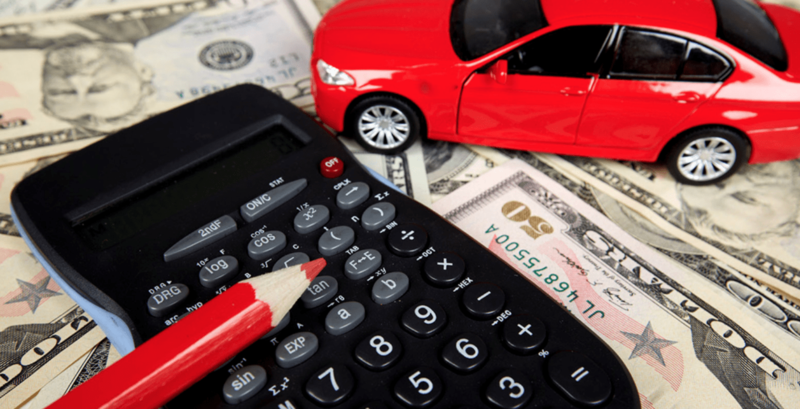 Using our special car loan calculator, car loans become easy to compare and access. A loan calculator is an efficient way to see what loans you qualify for, compare the rates, and get an estimate for your monthly payments. On the back end, our calculator uses your information to comb through our database of lenders and loans in order to pair you with several car loan offers. As you can see, brokers do the heavy lifting for you and the LendingArch application process only takes a few minutes of your time. First, you provide us with your personal details as well as information on the type of loan you’re looking to get. In this case, it’s car loans. Our tool will then allow you to easily compare and contrast different loan options. Once you’ve viewed each of your choices, you can decide which loan makes the most sense for your personal financial situation. With easy-to-understand rates, estimates on your monthly payments, and the ability to see what you are more likely to qualify for, LendingArch aims to help you in any financial situation. Finally, once you’ve filled out our car loan calculator and completed your application, one of our LendingArch loan specialists will be in touch with you. Our specialists will review your application, and ask you about your specific needs and what matters most to you. They will then connect you directly with a dealership partner or lender in LendingArch’s network. During the final steps, you will work directly with the car dealership or other lenders to get financed and placed with your new vehicle. We know that, while many people prefer to use an online platform, some also want to speak to a representative right away. Customers also have the option of directly calling LendingArch at 1-877-669-0432. When customers choose to directly call our loan specialists, the process is actually completed even faster, as our we are able to take your information and put you in contact with a dealership in a moment’s notice. Remember, LendingArch is a loan broker. With our large network of dealerships, we are able to find one that fits your vehicle and loan needs. Whether you’re looking for a truck, SUV or smaller car, we help you find a dealership that carries a large inventory in your area. Through our services, we hope to empower you in making a smart, informed financial decision that gets you into the vehicle you need. Now that you’ve heard the inside scoop on online loan brokers and auto loans, are you ready to take the next step? Apply for your car loan today!